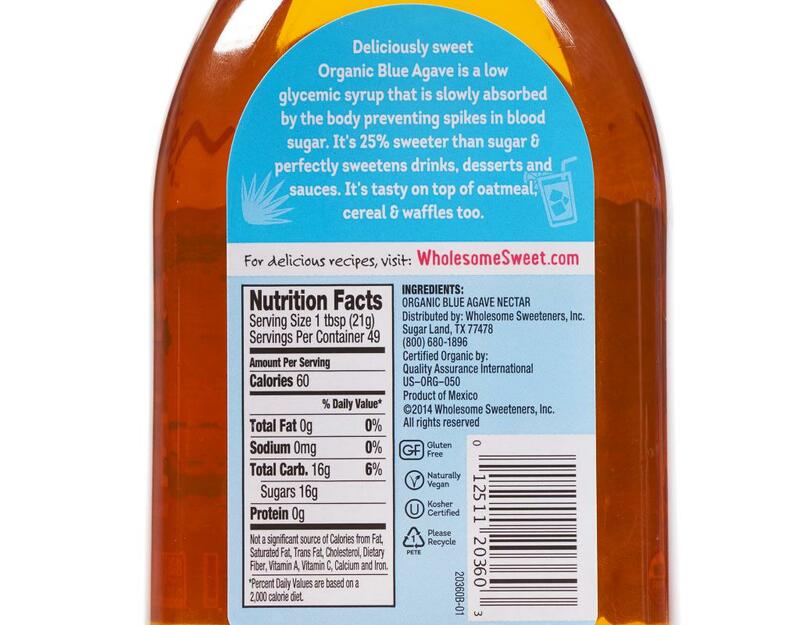 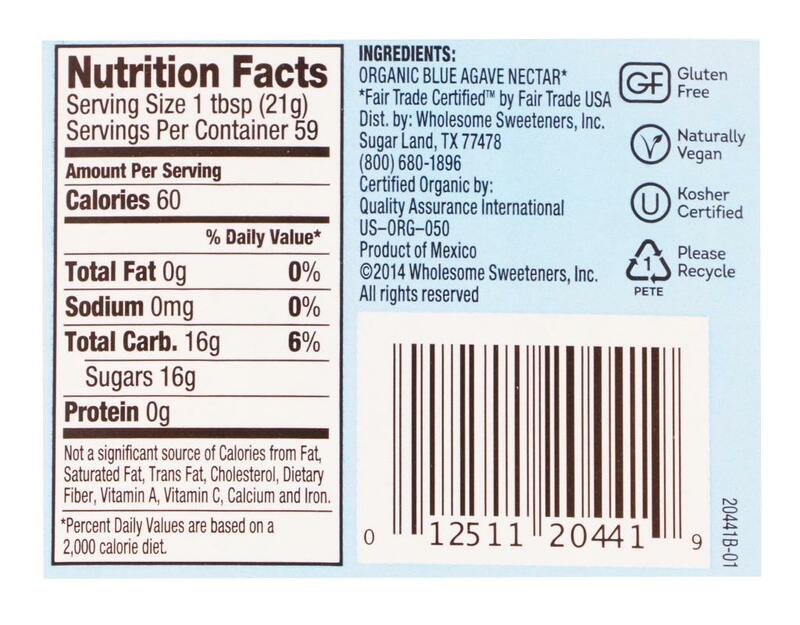 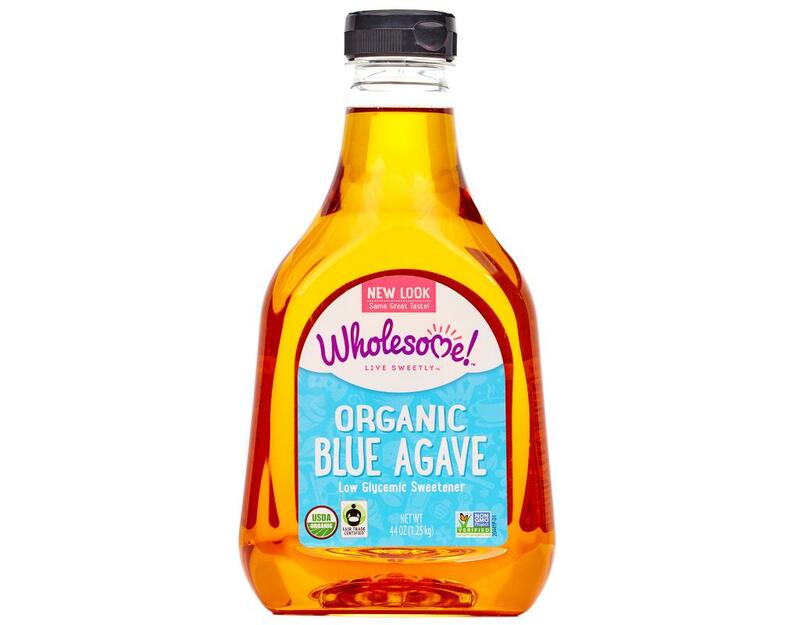 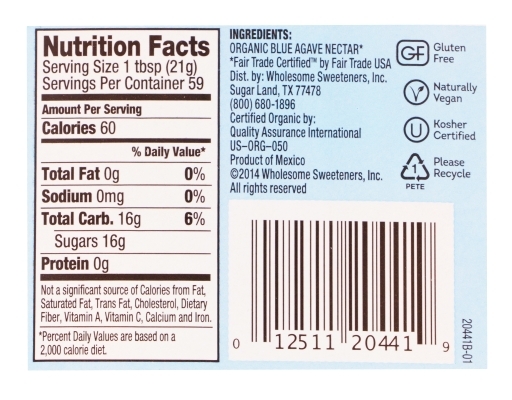 Wholesome Sweeteners Organic Blue Agave is a natural sweetener extracted from the core of the Blue Agave plant. 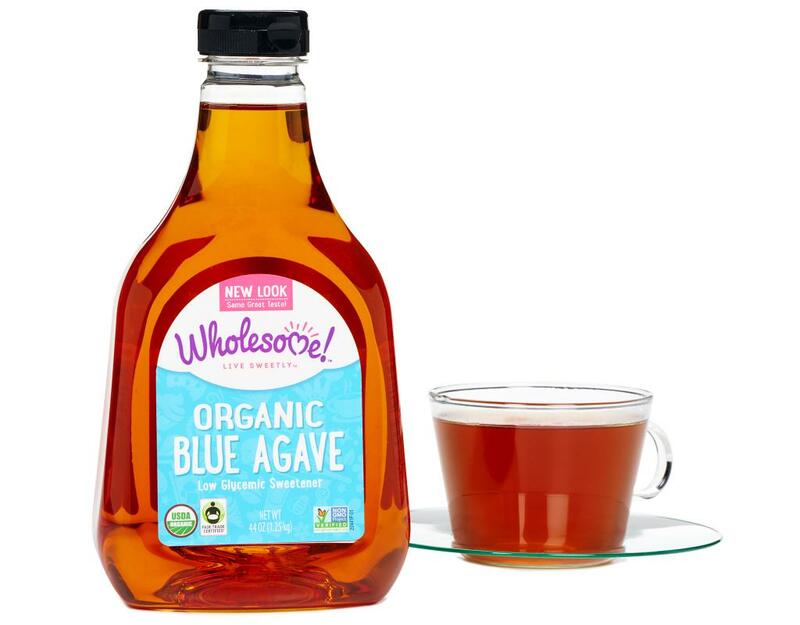 Blue Agave has a bright sweetness that quickly dissipates. 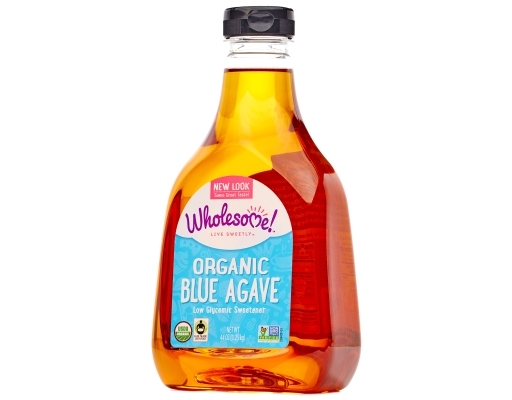 Perfect in baked goods, fresh fruit and smoothies, salad dressings and savory sauces. • Blue Agave is non-crystallizing and quick dissolving. 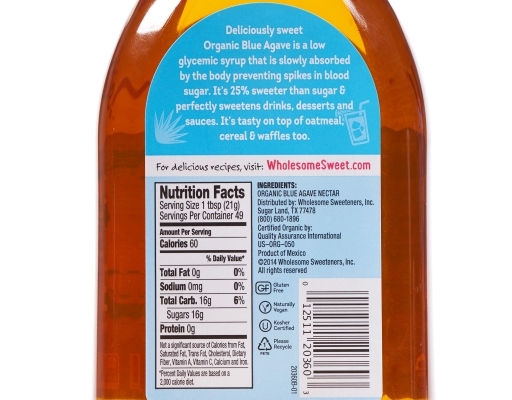 • Use as a one-for-one replacement for sugar, then adjust to your own personal taste. Some chefs prefer to use 75% as much Blue Agave nectar as they would sugar in a recipe, but others prefer a straight 1:1 replacement. 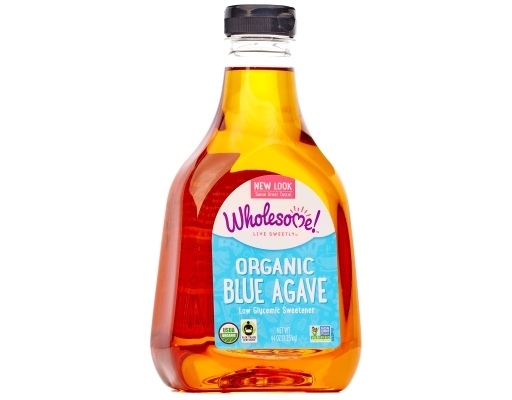 • Reduce the other liquids in a recipe by up to 30%. 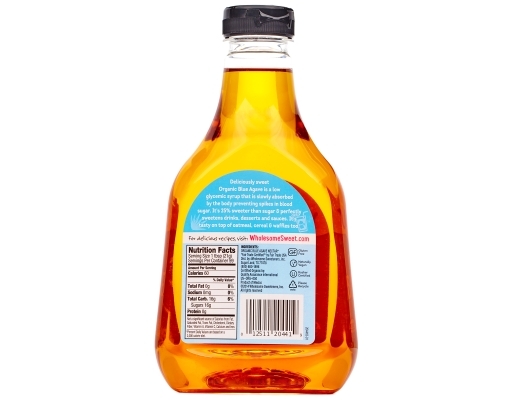 • Cook lower and slower: reduce your baking temperature by about 25 degrees and bake for a little longer.